Astrology is the birth map of your dharma, your work, service to the world. It is the contracts to your family and others. Astrology delineates the path of least resistance and can assist one in knowing thyself, unconscious motivations, unresolved patterns from past lives, your childhood, how one thinks, emotes, communicates, and loves; where the resistance is as well as resentments. 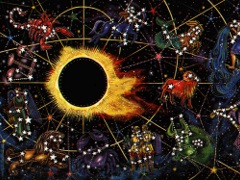 Astrology is a tool that when connected to another's chart is a fascinating examination of karmic ties. 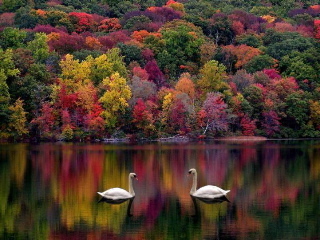 One can see how current transits mirror your consciousness. The Tarot is a profound meditation. With an open mind, the Tarot is an archetypal journey into the soul. 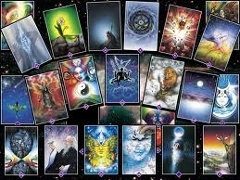 Tarot contains mystical secrets of the universe in esoteric symbology. It is a profound method of discovering your inner depths of the psyche, subconscious and unconscious motivations which can open up new dimensions into the inquiring mind. By using the Tarot, one can see past, present and what wants to show up from a higher level, soul evolutionary standpoint. 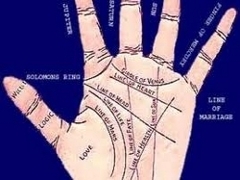 The Tarot relates symbols from Astrology, The Cabala, and Numerology. 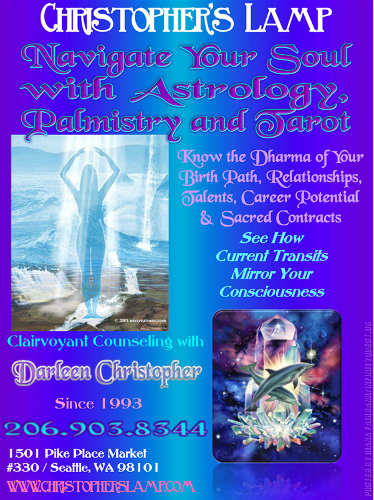 As an empathic clairvoyant and Spiritual Counselor, Darleen Christopher is clearly focused on the mind, body, and spiritual connection. 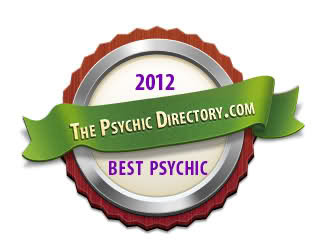 She is recognized as a talented practitioner of many psychic arts, including Palmistry, Tarot, Astrology, Numerology, and she appears in the Directory of Northwest Intuitve Arts Practitioners, an honorary acknowledgment received only by nomination of authenticity. 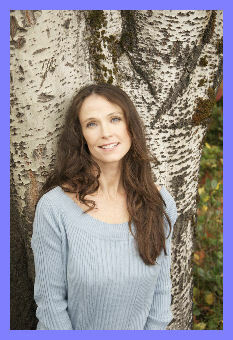 She has earned a reputation for delivering amazingly accurate insight, and as a practitioner of energy healing, she is sensitive to chakras and how they correspond to emotional wounds from the past. Darleen can accurately depict people in your life, their perspective, circumstances, and opportunities for transformation. Compassionate, honest, ethical, with a gift of tact, her delivery is always soft, innocuous, non-judgmental, yet powerfully exhilarating! By gaining valuable insight, you can make empowered choices on redirecting your energy towards a more positive & successful future. If you have difficulties in forgiveness, letting go of or wanting to heal unhealthy relationships give her a call. Specializing in soul assignments, she can help you see the value of “contracts” to assist you on your evolutionary path. She is truly gifted in revealing subconscious behaviors and other external influences that can negatively impact your life, health, career and relationships. By gaining valuable insight, you can make empowered choices on redirecting your energy towards a more positive and successful future.